Melanie and Jake are only a few weeks away from their wedding day and I thought it would be a perfect time to post some of their images from their engagement session. 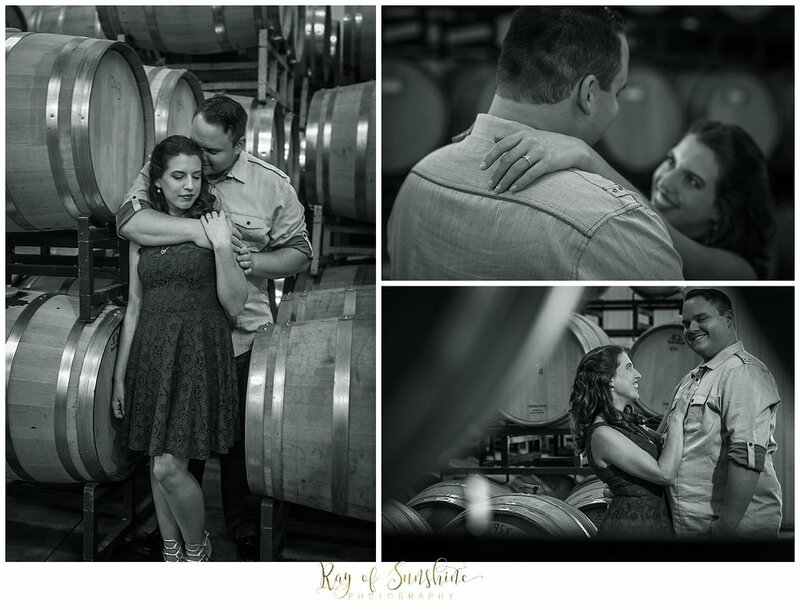 They are having a beautiful fall wedding at Tomasello Winery so it's only appropriate that they picked Tomasello's barrel house for their engagement session. 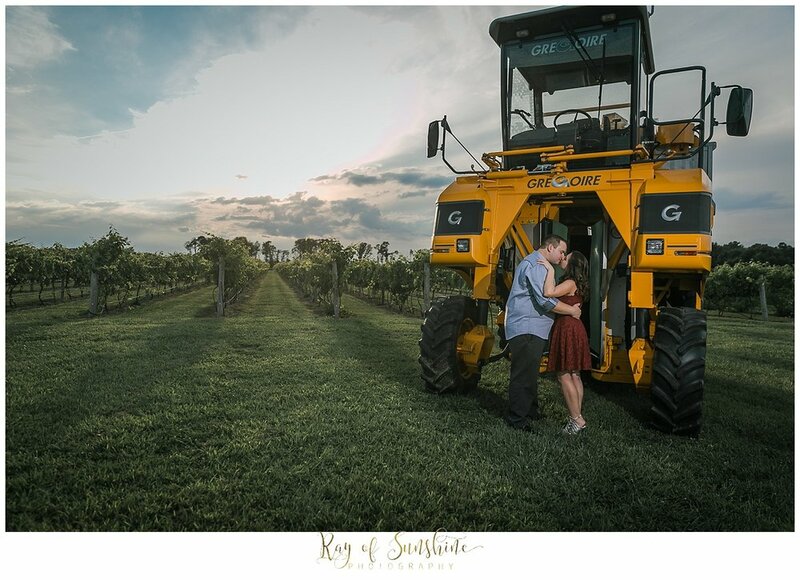 The owner even allowed us to take pictures with their massive grape harvesting machine. 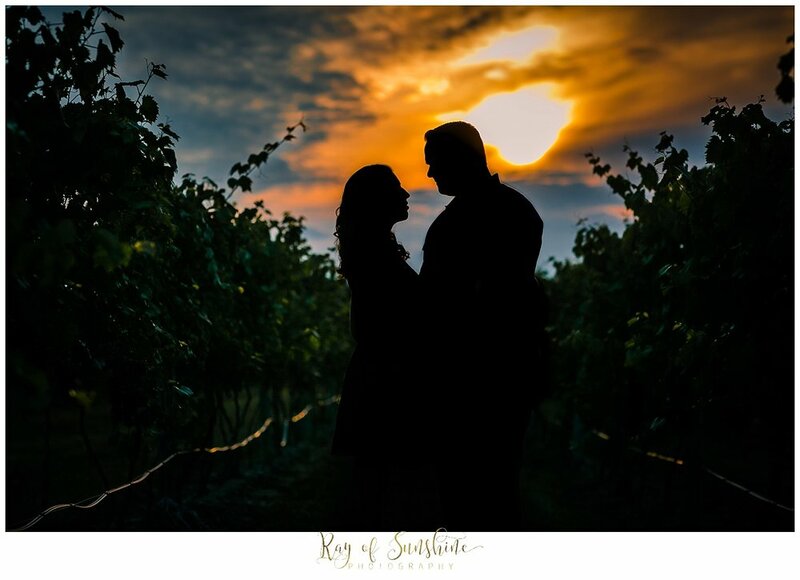 Although their wasn't much diversity in our background at the vineyard, I think we were able to get some great pictures. Melanie and Jake are such a sweet couple and we laughed through our whole session. Jake definitely kept Melanie smiling! 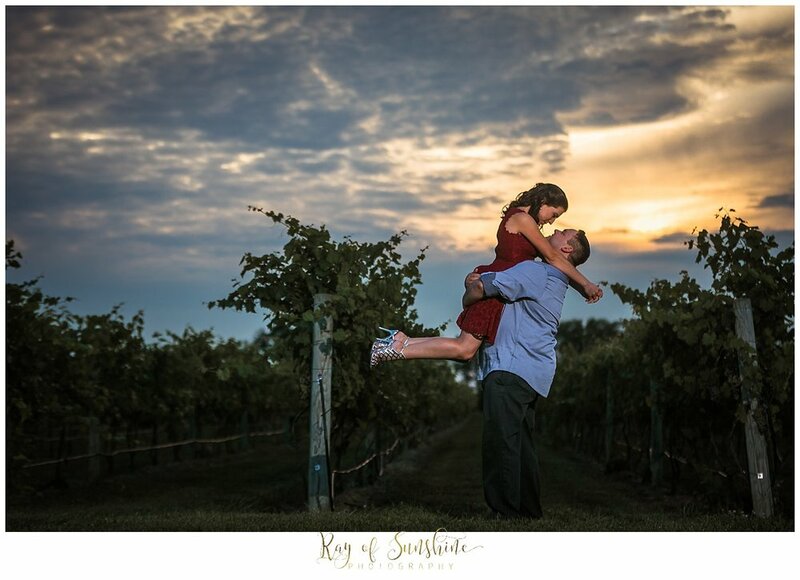 We ended the session with an amazing sunset just perfect for romantic photos. See you two soon!